Do you like 3D Arena Racing? Share it with your friends. 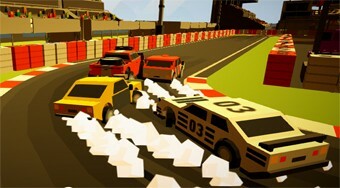 3D Arena Racing is a luxurious 3D racing game with eight levels that you can play either yourself or in a split screen against your friend at one computer. In each round, go through the racetrack at the stadium, drift into turns, overtake your opponent and try to get to the finish first. Buy new cars for your money.